News and reflections from Notre Dame President, George Valadie. Happy New Year to all our families! Let’s keep the party going with an evening out this winter! 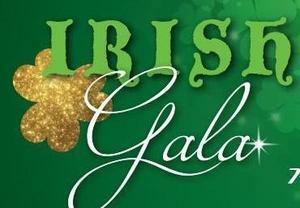 We will be hosting our 1st Annual Irish Gala on Saturday, February 2nd at Stratton Hall. From 7:00 until midnight, it will be all Irish, all night. We’ll also have music, dancing, casino games, “bites and bevvies” and a silent auction, all to benefit Notre Dame. Parents, friends, alumni - all are invited! What better way to shake the winter doldrums! Of course, individual and couple tickets are available as well. So please contact our Main Office for additional information or to purchase tickets. Looking backward for a minute, I want to express our thanks for everyone’s incredible holiday generosity that included random plates of goodies, a delicious faculty Christmas luncheon on the last exam day as well as individual gift cards for each staff member. Thank you. We hope that your Christmas holidays were everything you hoped they would be. And please know we pray that you and your families have a very blessed and wonderful 2019! I also want to thank our families who were able to be so generous to the needy during this past holiday season. Our “No Shave November” effort generated over 14,000 meals through the efforts of the Food Bank. We also donated to the efforts of the Ladies of Charity and the St. Vincent de Paul Society. On behalf of so many who will never know your name, please accept our grateful thanks and appreciation! I also want to thank the many folks who have already supported our School Raffle by purchasing a 2019 calendar. State Gaming rules have changed slightly this year and are allowing tickets (calender's) to be purchased through January 19th. So if you’d like 365 chances to win cash with a single ticket, we’ve got the perfect opportunity for you. The mandated drawing date will be January 29th when all 365 cash winners will be unveiled. In addition, Notre Dame purchasers will be entered into a separate drawing for $500 cash. You won’t be competing against the Diocese, but only against those who purchase a calendar through our school. Your odds are fantastic. If it can be over 60 degrees the first week of January, my guess is it’s just as likely to be below zero the week after that. If the weather turns that way and forces a change in school hours, just a reminder that we’ll inform everyone (via Schoolcast) as soon as we can as well as reaching out to all three television stations. And just a reminder that any decisions we make in this regard ARE NOT tied to the Hamilton County School System. So listen and look for “Notre Dame” to be mentioned specifically. I really shouldn’t be, not in the big scheme of things. But it’s so unlike me to already have taken down all our outdoor Christmas lights and wreaths. I took Nancy’s repeated “suggestions” and used last weekend’s good weather to get it all done and put away. The tree? Now that’s another matter entirely. It’s funny how different families are in this regard. I know some who open gifts on Christmas morning then de-deck their halls before the turkey’s even served. Others wait until New Year’s, others the Feast of the Epiphany and still others get to it when they get to it. I’ve been a staunch supporter of that last group for years. I’d like to say there’s meaning behind our tradition but there’s not. We get to it when we get to it. One year, before we had purchased our artificial tree, it was probably late January when we finally untrimmed the tree – late, late January. We liked the lights, we liked the feel, we liked putting it off. But take it down we did – finally. That created another whole problem. What do you do with a tree that’s just now coming down four weeks after everyone else’s? You just can’t toss it out there on the street … at least not without being made fun of by all the neighbors. So I did the next best thing, I stuck it in the corner of the backyard, having convinced myself and my bride that I would get it out of there under cover of some night in the not too distant future. It sounded good at the time. And then – I kid you not – three months later we hid Easter eggs among its branches. Little Brady was just two at the time so the fact that there wasn’t a lick of any greenery to hide them didn’t really register. He thought he was just good at this egg finding thing. And there it is – at least for me. A New Year’s resolution worth having. Less procrastinating around the house. You get the idea. She has ideas, I typically ponder them. I don’t know what your resolutions are for 2019 but I know there’s never a bad time to start being better. December gave us the gift of the Savior; January gives us the gift of more time on this earth. Time to do better, time to be better. From all of us to all of you, we wish you a blessed, holy and happy New Year!